Cornwall hosts miles of dog friendly coastal path, vast moorland and nearly a hundred beaches welcoming dogs all year round. It is a wonderful place to take a holiday with man’s best friend. Even better, there are plenty of restaurants and cafes that throw their doors open to sandy paws too. These are some of our favourite dog friendly eateries in St Ives including pubs, cafes and restaurants. 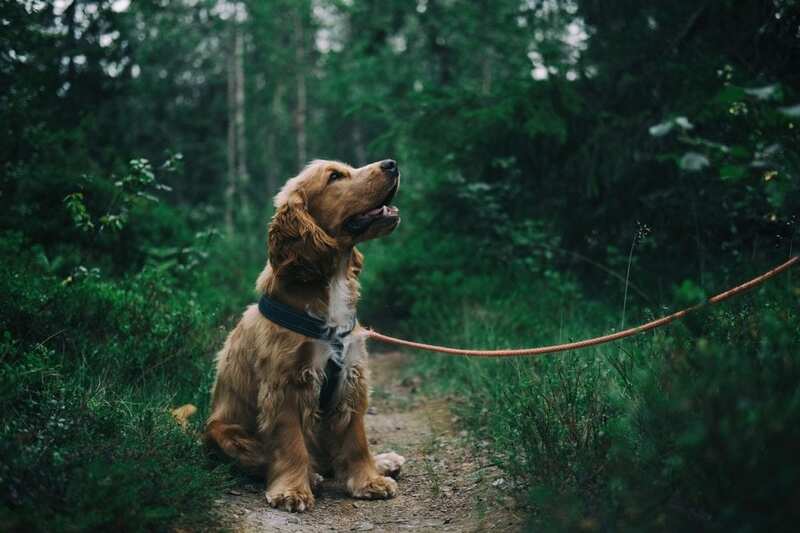 St Ives loves dogs and there are plenty of dog friendly cafes to enjoy breakfast, lunch, a Cornish cream tea, or even a refreshing pint after you’ve exercised your four-legged friend along the beaches and south west coastal path. The Stroff Troff Cafe opens bright and early for dog walkers. They claim to serve St Ives’ best ‘Full English Breakfast’ from 9am every day. This dog friendly cafe also hosts lunchtime dishes inspired by Vietnam, markets in Thailand, and trendy cafes in Melbourne, Australia. The staff are known to shower dogs with love whenever they set foot in the cafe and have a resident pooch called Kodie, on duty to welcome fellow dogs and humans alike. As well as brilliant hot dogs, the Surf Shack cafe is a cosy dog friendly cafe in St Ives that boasts stunning harbour views you and your dog can enjoy. Sit back and watch the boats with a hot chocolate in hand. Along with glowing reviews for their cake selection and cream teas, the attentive staff are as friendly and welcoming to dogs as they are to their owners. Take advantage of the lifted beach dog-ban and pop up to Porthmeor Cafe for a warming pot of tea in their dog friendly outside seating area. Dig into a seafood lunch and revel in first-class beach views with your happy and worn out dog resting at your feet. 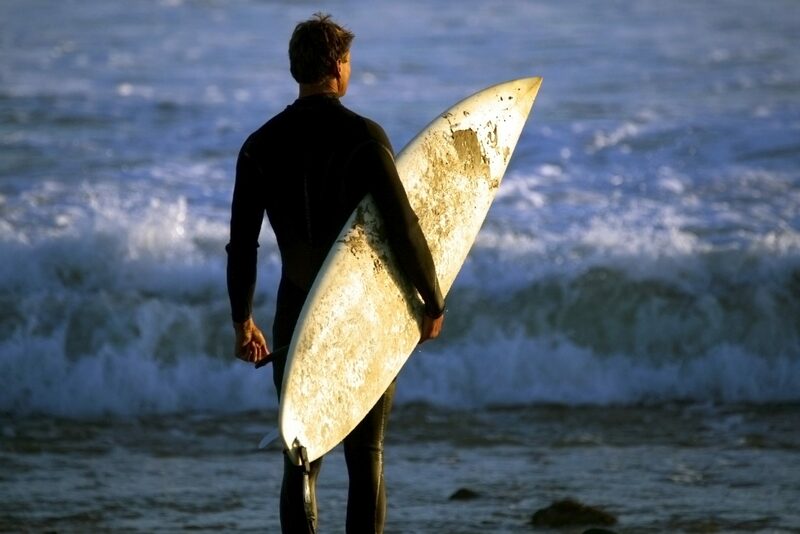 In the winter months, you and your dog are free to explore all of the St Ives beaches. This family run, cosy cabin, pride themselves in being a dog friendly cafe near St Ives, where you can enjoy a delicious homemade cake after walking with your pooch around the three scenic fishing lakes at which it is situated. Along with a quality lunch, your four-legged-friend may even get treated to a few tasty snacks, as dog biscuits are on hand to spoil any dog that visits. Dining out in St Ives in a dog friendly restaurant means the whole family can spend the evening together. If you are on holiday with your dog and/or a local visitor, there are a range of restaurants that will get tails wagging from tucked away eateries in town to dining with harbour views. Amongst the quaint narrow streets behind the harbour, this St Ives restaurant allows dogs in their covered upstairs terrace where you can enjoy shelter during your evening meal. Overlooking the rooftops with the harbour in the distance, dine with locally sourced ingredients and enjoy the sunset experience with some sparkling wine and your pooch at your feet. When the Hub says it does ‘burgers, dogs and BBQ’ it means more than just its signature New York-style hot dogs made with 100% free-range pork. Watch the boats go by in Hub’s dog friendly restaurant and tuck into homemade burgers whilst enjoying the company of your own (not so hot) dog. Just when you think you are leaving St Ives behind and heading into the wilds of West Penwith to Zennor and beyond, you stumble across the very dog friendly Halsetown Inn. Of an evening, dog walkers and foodies fill the atmosphere, enjoying ethically sourced, freshly cooked and immaculately presented meals alongside a decent selection of ales. As well as being one of Cornwall’s leading independent wine merchants, Scarlet Wines has also accrued quite a reputation for its food and is a dog friendly restaurant. Previously a tapas and coffee shop, Scarlet Wines now serves seasonal, local food whilst welcoming evening diners and their dogs. Who doesn’t love some pub grub in St Ives, especially a dog-friendly pub? There are so many, we decided to dedicate an entire blog post to Dog Friendly Pubs in St Ives and the surrounding area. Go check it out and explore some of the finest pubs in St Ives and find some treasures with your dog. 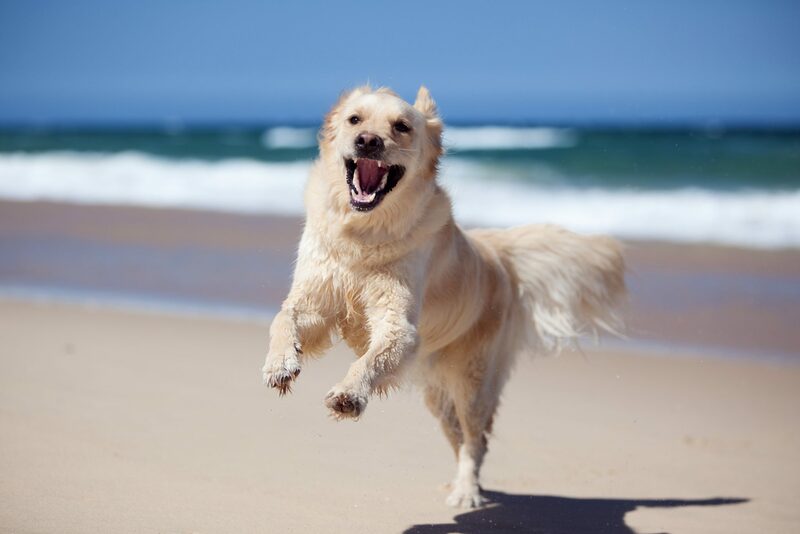 Carbis Bay Holidays offer a huge selection of pet-friendly accommodation, so there’s no need to leave your dog at home when you take a holiday in Cornwall. Why not also check out our guide to dog friendly days out for some more great ideas for a fun-packed holiday. 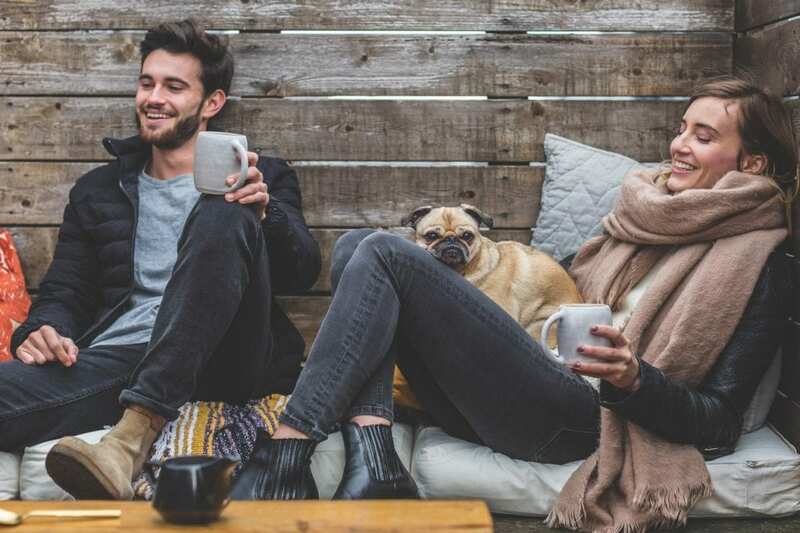 If you’re thinking of taking a trip to Cornwall with your pooch, check out our Dog Friendly Holidays in Cornwall and St Ives page and find out about the best eateries, days out, and how we can make your stay with us unforgettable. 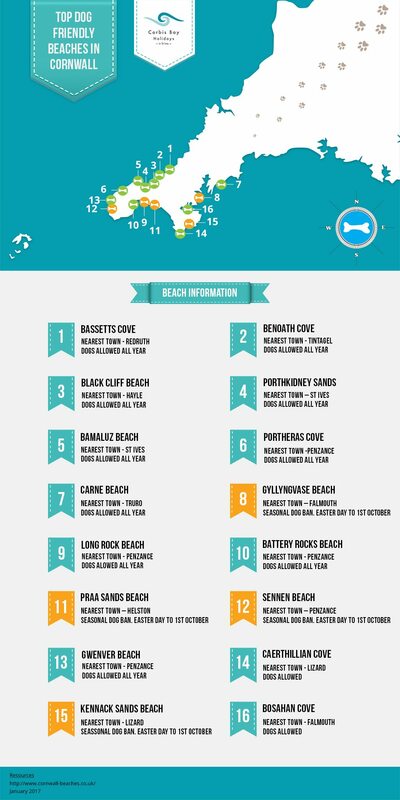 From May to September most of the central St Ives beaches enforce dog bans, Bamaluz and Lambeth Walk are two low-tide town beaches that welcome dogs year-round. On the outskirts of town there are some stunning, wide-mouthed bays were dogs frolic year-round. The best of these is Porthkidney Sands, dubbed ‘Happy Dog Beach’ by locals for good reason. 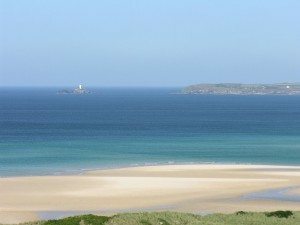 While bucket-and-spade brigades descend upon neighbouring Carbis Bay and Hayle Towans, Porthkidney remains untouched by the masses, reserving its dune-backed beauty for a handful of dog walkers and their energetic companions. Our other favourite is Mexico Towans, a mile or so of wave-lashed sands with plenty of space to chase Frisbees and do some doggy-paddle in the shore-break. Part of the three-mile St Ives bay, this stretch lies between Black Cliff (by Hayle Estuary) and Peter’s Point (where the sand dunes turn into cliffs as you reach Gwithian). Even the Eden Project has recently opened its doors to dogs, proving that Cornwall’s gardens aren’t just for green-fingered visitors and families. Home to extensive woodland and park trails nudging the River Fal, Trelissick Garden, near Truro, tops Ziggy’s list of garden dog friendly days out. However, closer to home we like to visit Trengwainton, near Penzance – another National Trust property with picnic meadows, a stream garden and paths wending through exotic plants. Also close to Penzance is Tremenheere Sculpture Gardens, with its wonderful mix of wide-open spaces, woodland, sub-tropical plants and art installations inspired by nature. Explore beneath towering canopies, climb grassy knolls to witness stunning views over Mounts Bay, and tuck into homemade cake and Cornish produce at the Lime Tree Café. Nothing beats an invigorating stroll in the woods or on the coast, stopping to refuel during a dog-friendly day out in a pub or café. Our favourite coast path walk – if you’re up for a serious workout – is the six miles from St Ives to Zennor. Once you reach the 13th-century Tinner’s Arms, tucked behind the wild, azure seascape that inspired the legend of the mermaid of Zennor, you’ll have earned a rest by the fire or outside overlooking wild, shaggy moors. Carbis Bay Holidays offer a wide-range of dog-friendly accommodation in St Ives and Carbis Bay. Check out our luxury, pet-friendly cottages and find the perfect holiday home for you and your pet. 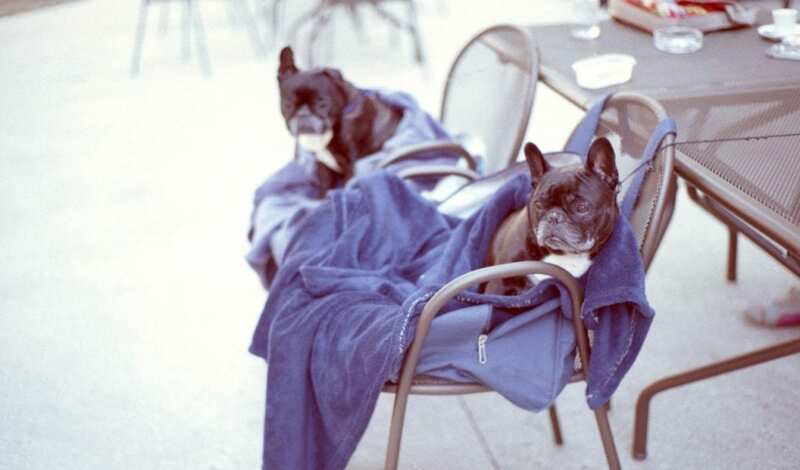 See also our post about dog friendly eateries for more inspiration for dog friendly days out.